Updated Monday December 10, 2018 by Soccer Office. 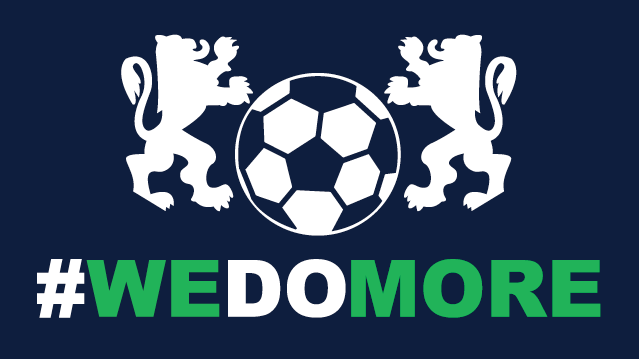 A theme you will hear from CBAA Soccer more and more in the coming months is #WeDoMore. And working together, we can do so many great things for our athletes. We recently unveiled our new sponsorship program – and together we can make this successful. We now are focused on year-round sponsorships. And, to appeal to a wider audience, we have sponsorship opportunities for businesses both big and small, as well as for families. * Business sponsors benefit as they get their brand and business name out to the many visitors who come to CBAA Soccer fields and facilities, and who engage with CBAA Soccer online. * In turn, all athletes and their families will benefit as sponsorship money will help to reduce participation fees. It's a win-win for all. * Purchase a personalized Family Cinderblock at the Indoor Training Facilty for $100 for 3 years! * Pass the attached info/info at this link to business owners who are potential sponsors. Think of family businesses, of businesses owned by neighbors and friends, and businesses that you frequent. These are ideal to approach. * How should you approach businesses? Email the attached, or print and present the info in person. Be sure to ask for the sponsorship and support, and follow up to encourage the sponsorship to happen. Ready to sponsor? Click here for information and here to purchase. Please contact us with any questions - and good luck as you do the 'ask' to businesses you know to become a CBAA Soccer sponsor! Together #WeDoMore!